Click the picture's to log into your account and load up these Freebies!! 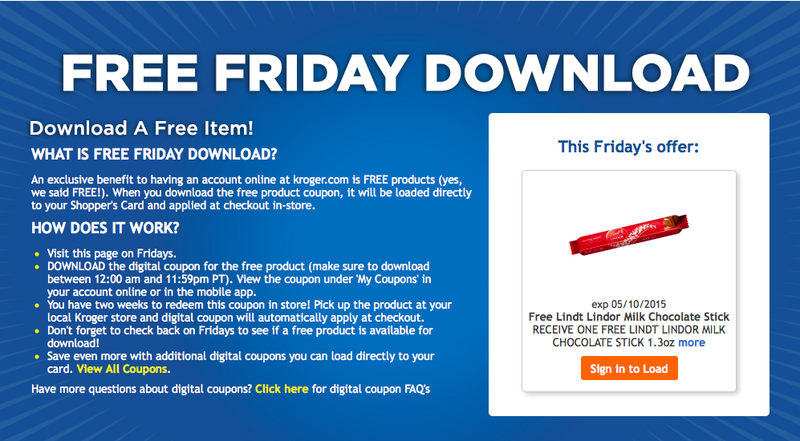 From Kroger today's Friday Freebie is a Lindt Lindor Milk Chocolate Stick, 1.3oz! 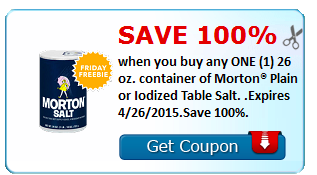 From Savingstar the Friday Freebie is a container or plain or iodized table salt, 26oz!